Newer: » Guest Editorial: Happy New Year? Living Word Church’s (LWC) held its 8th Annual Toy Drive for the children of San Pedro, and it was brighter than ever! 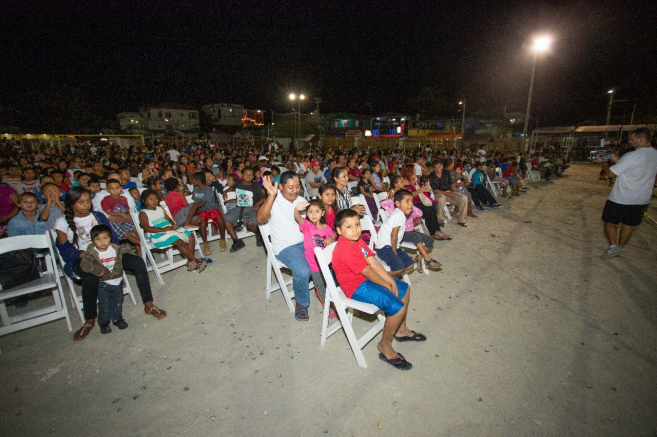 On December 21, 2018, a total of 1,100 toys were distributed to as many children during a ceremony at the Honourable Louis Sylvestre Sporting Complex in San Pedro Town. Children also received a cupcake and soda during the Christmas Season. 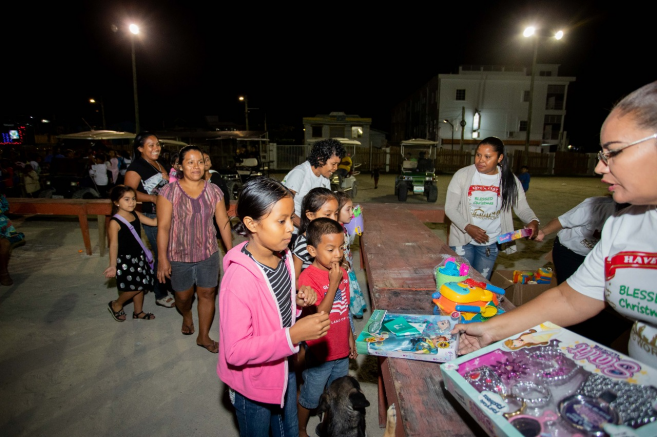 LWC, under the guidance of Pastor Ian Zaldivar, began coordinating the toy drive eight years ago with the simple notion to be able to “bring joy to all children” during the Christmas Season. Christmas is a time of giving, celebrating life, and joy, and that is what LWC aims to spread through this event. It brings families together and puts smiles on kids’ faces. Food baskets were also distributed to the less fortunate families of the island. With the help of LWC board members, John Greif of Tropic Air, Ernie Olmstead of Captain Morgan, and Joel Nagel of ECI Development and Nagel & Associates, LLC, fundraising efforts reached far and wide. In addition to the distribution of toys, LWC was presented with a check of $34,594.76bz from Cobb, on behalf of Joel Nagel, for his role in the fundraising efforts. 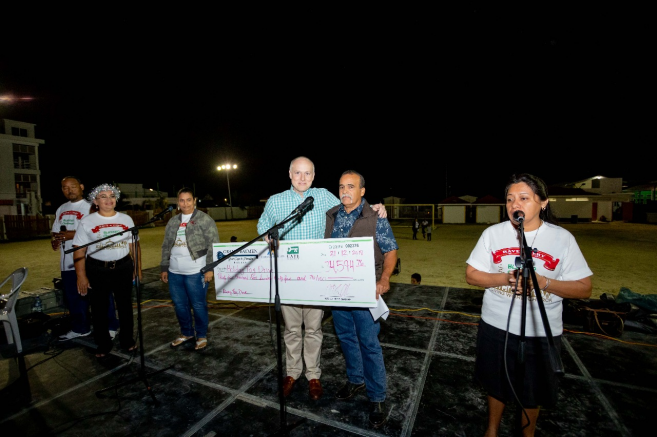 ECI Development along with contributions of Caye International Bank, Georgetown Trust, and Escape Artist raised funds through two silent auctions events in San Pedro and Dallas, Texas USA. Special thanks go to Mirab Department Store assisting with the procurement of the toys. The LWC team thanks everyone who contributed to the toy drive success. They are already gearing up for this year’s toy drive to be bigger and better.